Adrianne George, of the Black Women in Europe AfroSpear Blog, has brought to our attention an instance in which color-aroused decision-making has led to disgrace for individual employees and for an international non-government organization whose purpose is supposed to be to help Black people rather than insult and demean us. This UNICEF ad campaign is an example of where the color-aroused antagonism of individuals within a corporation (UNICEF) has caused a major international embarrassment for the corporation itself? The question arises whether this color-aroused antagonism is so widespread within the corporation that it really represents the position and policy of the entire corporation. That is precisely what Adrianne George has sought to discover by contacting UNICEF directly, to see whether it will screen and offer appropriate services for its workers who show signs of Extreme Color Aroused Disorder (ECA) or, alternatively, endorse the workers' behavior and thereby demonstrate that the UNICEF as an organization is an ECA-aroused organization? 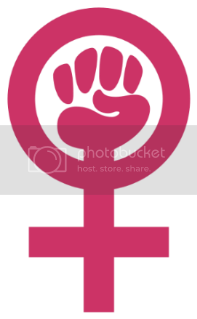 Adrianne George has contacted UNICEF and their response will help to distinguish whether this reflects a group of individuals within a corporation manifesting color-arousal, or the entire corporation itself. I think that if the corporation takes this seriously and realizes that this campaign has damaged it reputation and credibility, the corporation will want those responsible for this campaign to be screened, and then diagnosed and treated where appropriate for Extreme Color-aroused Disorder (ECA). We strongly suspect that the disorder is "extreme" in this case, because the behavior includes insulting strangers unprovoked (always a symptom of an extreme disorder) and because the behavior has led to significant negative professional consequences for individuals and also for their corporation. They are being discredited. If someone who was under the influence of alcohol insulted strangers unprovoked and this caused themselves and their corporation to be discredited, we would certainly suggest that person be screened for alcoholism. As such, the people responsible for this color-aroused UNICEF campaign really do need to be professionally evaluated for Extreme Color-Aroused Disorder. Is D.L. Hughley's Nappy-Headed Comment an Example of Extreme Color-Aroused Disorder (ECA)? I am an American woman of African descent who does not agree with the boycott of DL Hughley. I was offended by the term "ho" not the term nappy-headed. I proudly wear my hair natural as do most of my friends. And though a couple of us have soft curls, most have nappy hair. I am more offended by the fact that African women in American are ashamed to wear their hair natural for fear that they will be what God intended women of African descent to be, and that is "nappy headed." Anonymous, I agree with you that there is nothing at all wrong with having nappy hair. "Nappy" is the natural state of many people's African hair and "natural" is a good thing. What is wrong is to use the phrase "nappy-headed" as an epithet, because that behavior shows antagonism toward our natural African hair. People who have extremely antagonistic attitudes toward the immutable physical characteristics of others are people (e.g. 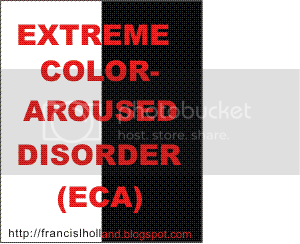 toward the skin-color or natural hair of others) are people who suffer from Extreme Color-Aroused Disorder (ECA). In this disorder, just seeing and perceiving the immutable skin-color or other immutable color-associated characteristics of oneself and/or another person is enough to arouse extreme ideation, emotion and behavior in the sufferer of Extreme Color-Aroused Disorder. The behavior of publicly ridiculing strangers about immutable color-associated physical characteristics is one of the symptoms of Extreme Color-Aroused Disorder (ECA). We know that this behavior is extreme because it often leads to physical fights, legal liability, loss of job, loss of family contacts, loss of social status, lost income and loss future prospects for the perpetrators of this extremely color-aroused public epithet behavior. Such behavior in the workplace often leads to expensive and time-consuming legal claims against both the offending employee AND the employer. With so much at stake, clearly making strangers the subject of color-aroused epithets in public, for no logical or rational reason, clearly is an extreme behavior symptomatic of Extreme Color-Aroused Disorder. No fully rational person would willingly incur so much trouble for the sake of insulting a stranger.